You are here: Home / Directors / International Night at ‘Ghany! 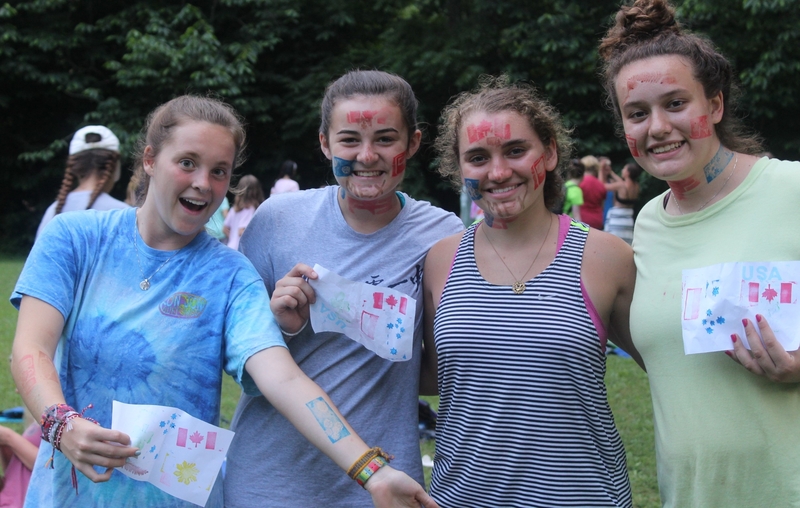 Editor’s Note: In honor of our large contingent International counselors and staff members, and with it our growing cultural diversity, this week’s blogs are devoted to international stories. 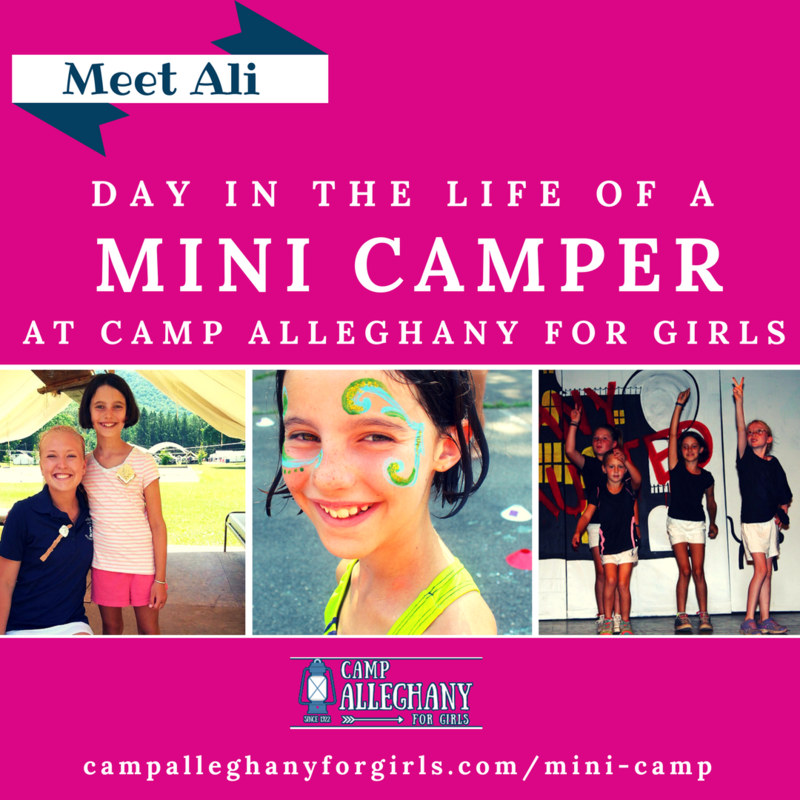 The Greenbrier River is certainly that, and meals at Camp Alleghany for Girls are always a popular time of the day. Special meals raise the stakes even more. Think Banquet, Lunch Under the Apple Tree (LUTAT), Meal Hikes. Well, during Summer 2018 we added a new meal sensation at Camp: International Night! During International Night campers and staff sampled cuisines of the world under the apple tree on the banks of the river. Our amazing Chef Vic, a New Zealand native, with the help of her culturally diverse staff, prepared food from every nation represented by a member of our staff. “How many different nationalities were present on staff and at dinner,” you ask? ELEVEN! Twelve if you include the good old USA. Canada, Haiti, England, Mexico, Ireland, Poland, Columbia, Scotland, New Zealand, Philippines, Australia and the US. A regular mini UN! The food from each nation was served with love and a bit of culture was shared by a native of that locale. Imagine booths set up around the field, festive national flags draped in front of the tables, music playing, laughter in the air, and all of camp milling back and forth like a fair ground, sampling food, and enjoying the evening. Some of the most popular dishes were pierogis from Poland, fish and chips from England, fairy bread from Australia, and poutine from our northern neighbors in Canada. The overwhelming favorite of the night, though, was chicken adobo from the Philippines. The fun didn’t end after dinner, as we went straight into a brand new evening program by the same name, International Night. While staff cleared the tables, collected their stamps (you’ll understand in a moment) and materials for their presentations, each camper was given an Alleghany Passport, their ticket to international travel, knowledge, and adventure. Every nation had a game, a dance, trivia, or language lesson to pass on to our young travelers. A camper might start her journey learning some French in Canada before going on to learn the Nutbush Dance from Australia. Another girl might begin by sorting through British currency or learning some Cockney slang in England, then jump over to New Zealand to participate in the Haka, a powerful war challenge dance. After a visit to each country, campers got their passports stamped, filling up the pages as proof of their travels. Then, after a rousing evening of globetrotting, everyone collected in the Play Hall for a recap of all things International Night. The campers performed the dances they learned, spoke to us in foreign languages, and tried their best to decipher the Scottish brogue. 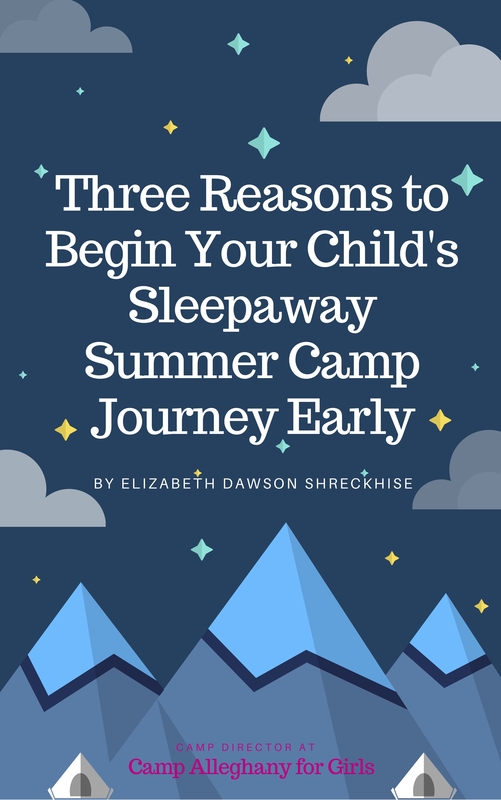 With passports in hand, campers and staff returned home to tent row to sleep off the jet lag and dream of future adventures. International Night was a hit! We held one both terms, and after such great success, we’re ready to do it again, and make it even more exciting. Who knows what countries we might visit in the future! Will you join us on our next overseas expedition?